Great idea until you run out of bullets. And you will run out. Editor’s Note: This review is taken from our much larger GOTY post here. It’s been given its own post in an effort to reward State of Decay as one of the year’s “best” games. Entirely new posts honoring the rest of 2013’s best are forthcoming. 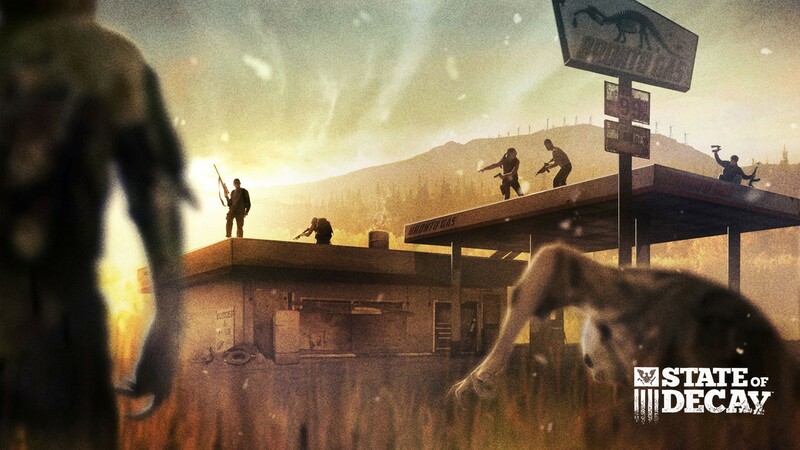 State of Decay is the best single player “zombie game” of all time. Yes, zombies to video games might be what hamburgers are to America, but State of Decay brings together such a range of emotions through mechanics and systems that it outdoes them all. The stamina meter being one of the most inspired mechanics, however, retrospectively obvious. It’s rougelike like, uh, feature of character specific permadeath reminds you that death shadows every moment, making your decisions matter. If you die, it’s most likely your fault, unless one of those walk-though-walls zeds get you. That’s just sloppy coding, but makes for a great story if you escape. It’s State of Decay’s ability to give you something akin to a book with a premise and characters, but then allow you to write many of the scenes that make up the chapters that elevates the games worth. Emergent storytelling is at its best here, allowing players to discuss the game like a personal memory. You actually grow attached to the characters you grow with and yell as they scream for their life when you make a single mistake. Undead Labs made the best video game ever…a nice piece of meat! Only had that one death, and it hurt. I was late in the game and thought I was going to have a perfect playthrough, so congrats to you for making me officially jelly. Ron, the account here of your death experience (albeit through Marcus) on State of Decay has made me want to stop ‘dashboarding’ (by this I mean abruptly exiting the game so as not to incur a loss of a character when I’m being mauled to the brink of fatality by the undead) and try dying for once. Excellent! I’m only on my first playthrough and there are a fair few things I want to do differently next time round. I would be lying if I said the thought of “dashboarding” didn’t run through my mind while the zombies devoured Marcus. But his death was, uhm, worth it (most macabre phrase of the day) and if I can just dashboard every time someone dies might as well play a game with respawning characters. Glad you’re turning a new leaf and playing honestly though :P. Hope you make it to the end without too much loss. Happy surviving.